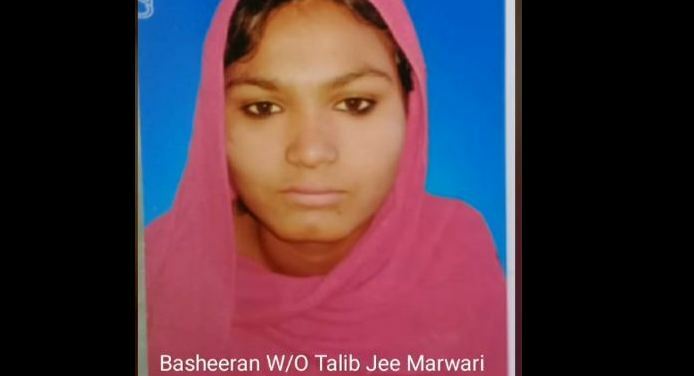 A pregnant Pak Hindu woman named Basheeran, married to Talib Jee Marwari, has allegedly been kidnapped and converted to Islam. The kidnappers Saleem Sheikh and Mashoque Sheikh allegedly converted the woman who belonged to Saleh Putt, Taluka Rohri, District Sukkur, Sindh, Pakistan about a month back. In the video shot by an activist named Ashok Kumar of Pakistan Minorities Teachers’ Association (PMTA), the father-in-law of the pregnant Pak Hindu woman, Hamen Jee, says that there are now threats to his family from the influential kidnappers. Worse is that no one from the Hindu community nor any minority leader has come to help in recovering the woman. Most minority leaders are found absent in discharging their duties when it comes to Hindus much to the ire of Pak Hindu community. Media and human rights activists also show no interest in documenting these cases which keeps the Pak Hindu community even more vulnerable. The abducted woman’s husband is not keeping well and the kidnapped Hindu woman is said to be somewhere between 5 to 6 months pregnant. Hamen Jee also said that the Police did not cooperate with them as they are poor. Sufi Pir Mian Mithoo and his men are threatening the Pak Hindu family with death if they speak up any more. The Sufi Pir and his men are also threatening to kidnap other Hindu girls. Due to religious persecution, most Pak Hindus have been forced to migrate to India.